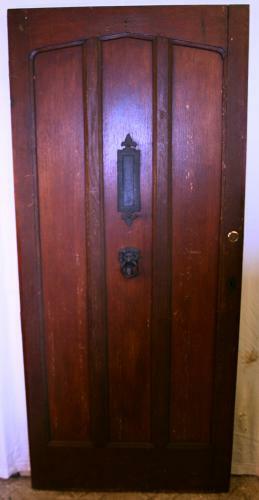 The door itself is a three plank design with cover strips and comes with the original door knocker and letter plate. Fully morticed and tenoned, this fine cottage door could be lightened by stripping back to the bare wood and varnished. Please contact us for options.